We all love using Netflix, right? Whether it’s to watch movies or our favorite TV shows, it’s one of the best streaming sites. On the downside, Netflix isn’t cheap, and it’s not accessible in certain counties, leaving people having to spend more for a VPN to bypass the problem. There aren’t many cheap and reliable VPNs that can navigate Netflix’s location restrictions, and you’ll discover that even the most well-known services miss the qualities needed for any top VPN. You might be tempted to try a free VPN service, but the software usually provides low standards of security and connections interrupted by buffering. 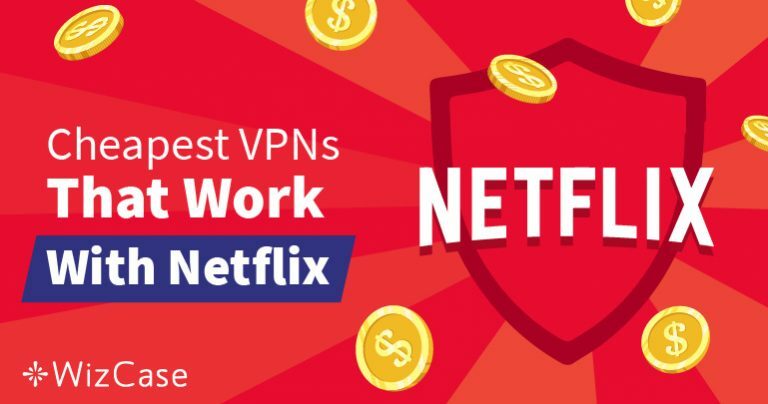 There is a select number of cheap premium VPNs which we recommend, providing the most reliable, fast, private, and inexpensive services, and allow you to stream Netflix anywhere. NordVPN is a veteran in the industry and has many customizable features which appeal to experienced users and beginners. Known for abiding by strict user privacy policies, no customer logs or information are recorded when using their VPN. There is no free trial period, but Nord offers a 30-day money back guarantee and fantastic payment plans. You can save up to almost 66% with a long-term, two-year program. 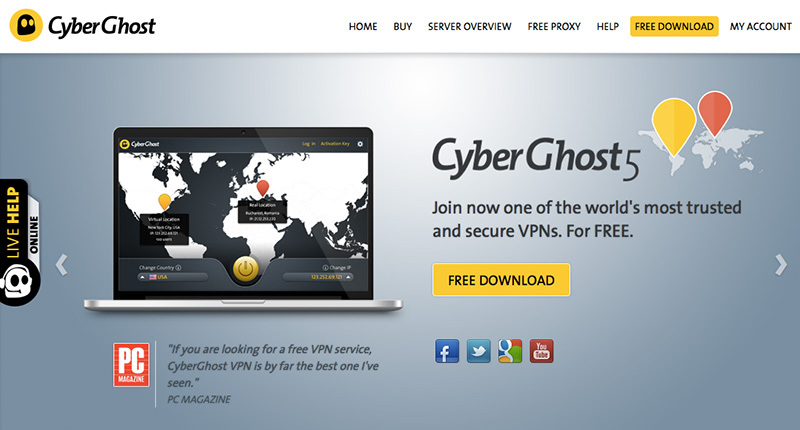 CyberGhost is a fantastic choice if you’re unfamiliar or inexperienced using a VPN. Headquartered in Romania, it’s free from the laws of data retention, and the company is strict on its logging policy. With CyberGhost you can save more than 70% on a 2-year subscription, and apps are available for operating systems like iOS, Android, MacOS, and Windows. IPVanish is perfect if you want a quick VPN that doesn’t compromise on privacy or its encryption standards. IPVanish doesn’t keep any customer data and can connect simultaneously with up to 5 devices. There’s no free trial period, but you can save close to 60% on your subscription and more if you choose a long-term plan. Everybody loves getting something for nothing, and that’s why there are a lot of VPNs which keep advertising themselves as free. Don’t be fooled, as although you won’t spend money upfront, your security could be at risk, and that comes at a much bigger cost. Here, we’re going to discuss the potential dangers of using free VPNs to help you make a more informed decision. One of the main reasons to use VPNs is their ability to protect us from online threats. It’s therefore shocking to realize that there are services which impair your security. In a recently conducted case study of 283 VPNs, SuperVPN, CrossVPN, and Betternet all found to contain malware, while 38% of VPNs studied showed symptoms of infection. Your devices can be targeted by malware when poor security or data logs expose your personal information. A primary reason we use VPNs is to keep our activities private as we browse and stream online content, but unfortunately, around 72% of free VPN services have hidden trackers. Trackers gather browsing data which can then be sold to advertisers. In this way, they can quickly show you different targeted ads. Currently, there are no free VPNs that can reliably bypass the Netflix Geo-blocks, and if they do the stream is usually hindered by frequent buffering, so you’ll never finish The Haunting of Hill House. Many free VPNs limit data, so you experience limitations which eventually cause you to upgrade to a full subscription. Slow speeds are something you’ll experience with a poor quality VPN. Paying customers are often prioritized regarding bandwidth, and free services are often throttled to encourage upgrades to payment plans. An example of a free VPN that will flood you with ads is Betternet, which although states it doesn’t allow ads, in reality, allows distracting pop-ups. Another culprit is Hotspot Shield, a service that’s filled with ads; an issue that’s led to several public complaints. Ads are not only annoying, but they also weaken your internet speeds, and in some cases, direct you to malicious websites. If a VPN is allowing targeted ads and pop-ups your privacy is not safe, and your online activity could be shared with government agencies or other third parties. 7 You Risk Your Bandwidth Being Sold! Hola, which uses a unique P2P style VPN, was caught selling the bandwidth of their free users to their premium Luminati customers. Underhanded techniques like this can negatively impact your internet connection and leave your IP address and other information exposed. Getting around various Netflix geo-blocks to catch your favorite shows is not always easy. A VPN is the most dependable and secure means of helping you maneuver through such restrictions. However, don’t just go for any service claiming to be cheap or any VPN claiming to be free.